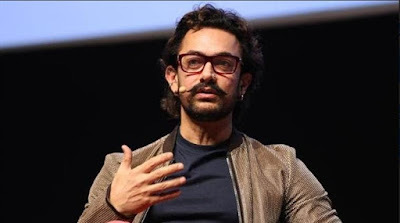 Film Udyog Se: Screenwriter Association conference to have Aamir Khan as Chief Guest! Screenwriter Association conference to have Aamir Khan as Chief Guest! Screenwriter association is organizing its 5th annual conference in which director, producer and actor Aamir Khan will be chief guest. “yes we are honoured to have Mr. Aamir Khan as our chief guest” confirms Zama Habib, the association’s General Secretary. Zama further elaborated that the key note speaker will be well known journalist Vinod Dua at this three day conference starting from August 1 to 3rd. The theme of SWA (screenwriter association) conference is “where the mind is without fear”, challenges facing the Indian Screeenwriter today. There will be panel discussions on various aspects and challenges of TV, Films and Digital medium for which well known writer, director, studio and channel heads have been invited. In every conference SWA honors stalwarts from TV, Film and lyrics and this conference is no difference. “In other way we are honored to give honor to Mr. Khwaza Ahemad Abbas for film, Shailendra for lyrics and Rahi Masoom Raza for tv writing” adds award winning writer Sanjay Chouhan, the conference convenor.